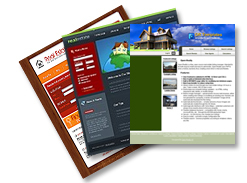 Addons here are the work of users in the Open-Realty community. While we do try to test out releases that are posted prior to adding them here we can not guarantee that they are all tested or that they are functional or suitable for a particular purpose. Open Realty UK does not offer free support for these Free Addon Codes. 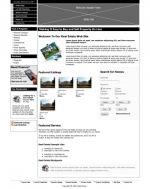 Open Realty UK makes no warranties of any sort for any Free Addons here. You are downloading and using them at your own risk. Since some Addons may not be compatible with all versions of Open-Realty we strongly suggest that you test the Free Addons on a site that is not live and that you create backups of your site and database prior to adding any Addons to your site. At Control Panel (at "backend") it will show an icon with a link. - If ADMIN is logged, the link will take you to a page with an example of a message. - If NOT ADMIN is logged, the link will take you to the same page but with another example of a message. Free Versions Completely free • ionCube encrypted to protect source code • No domain restrictions • No technical support available. • Free for private or commercial use. Commercial Versions Completely open source • No domain restrictions • No technical support available. This addon functions as an alternative to OR's default Add Listings screen, and allows you to template the entire display so that it matches your website's design and needs. What's more, you can now integrate any further scripting and code into the page, including other author's addons! Simply give it some HTML markup to show how to format the fields and it will automatically find out which fields relate to your property classes, which ones are required, and even generate the HTML input/select/textarea. It will validate your form automatically, and if you need greater control over specific fields, you can tell the template to omit those fields, letting you write the full HTML for them yourself. Note that this addon currently does not edit existing listings, only add new ones. It will not be developed further, so is now available as one of our few addons that is both free AND open source! Search Sidebar is an addon for Open-Realty that adds a search control to your search results page. With it, your visitors can narrow their search down (or widen it out) without having to go back to the search page. To see an example of the search sidebar in action, simply visit our search results page. The sidebar can be formatted completely through CSS, and provides convenient classes as standard to make this easier. With ListAds, an addon for Open-Realty®, you can discreetly show visitors a random selection of your chosen adverts at regular intervals between listings. Choose how frequently you want your adverts to appear, and give them an entirely unique look via HTML customisation. The addon comes with a comprehensive configuration and statistics page, and allows you to mark which advert clicks and displays you have billed your clients for, and which are yet to be billed. You can even export this information via CSV file into Microsoft Excel! Drilldown is an addon for Open-Realty® that gives you a highly customisable and automatically updating search form. While there are already several alternatives to Drilldown available to purchase, none are as effective, quick or easy to use. To the left you can see Drilldown effortlessly plough through some 3,000 listings, grouping and counting them as required. What sets Drilldown apart is its capacity for customisation. Unlike alternatives which can only be customised from the Open-Realty control panel, Drilldown can be defined as 'bare bones' HTML and CSS. Simply add an HTML form, give it some empty tags and Drilldown does the rest! Because this is all that Drilldown requires, you can easily integrate it with any page design, and also use the script multiple times on the site in different ways showing different search fields on each page. It is thanks to this feature that Drilldown can be used as anything from a small 'quick-search' box on the main page, to a fully detailed search form just by using different markup to add more fields.